Apple event for iPhone 6S and iPhone 6S thrilled to all apple lovers mainly for photographers, Developers and professional through different Apple Products launched with new iPhone 6S and iPhone 6S plus. Here you will get full detailed difference and features on use when available for pre order and ship to you on apple retail store or online. 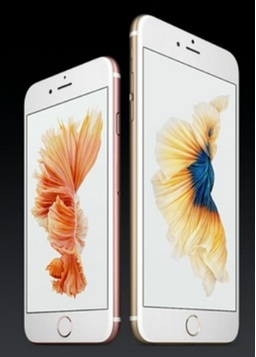 First apple will launch new iPhone 6S and 6S Plus in USA contract or unlock price base. And also other 11 countries are eligible for pre order new iPhone 6S and iPhone 6S plus on 12 September for get on or after 25 September. Other countries are Australia, Japan, Canada, New Zealand, China, Puerto Rico, France, Singapore, Germany, United Kingdome, Hong Kong. Useful: Buy best iPhone 6S case and iPhone 6S battery case. First I declare common features but new this time for new iPhone. Both models are available in four different colors: Silver, Space Gray, Gold, Rose Gold (New added this time) in 16GB, 32GB and 128GB. New iOS 9 installed, 12 MP iSight camera and 5MP front camera for face time. Height x Width x Depth: 6.23 in x 3.07 in x 0.29 in and 5.44 in x 2.64 in x 0.29 in for iPhone 6S and 6S plus respectively. Apple didn’t remove any of the features available in iPhone 6 and 6 Plus. That’s all will added in new iPhone 6S and iPhone 6S plus.